The screaming you heard yesterday was the collective voices of Smallville and Supernatural fans as they learned their beloved shows would not be returning from hiatus on schedule. The CW, one day before Smallville and Supernatural were set to air, sent an announcement around that instead of returning on their promoted January 28th date, re-runs of Vampire Diaries and Nikita would fill the time-slots and new episodes are set to return next Friday, February 4th. This, of course, did not sit well with fans and they took out their frustrations on blogs, Twitter, and by sending feedback directly to the CW demanding to know why. The official reasons given for the delay were two-fold, both favoring Vampire Diaries and Nikita. Preempted In Certain Markets: Thursday night's episodes of Vampire Diaries and Nikita were preempted in two major markets. Chicago viewers were instead treated to the mayoral debate and Baltimore stations were showing the basketball game. Chicago is the 3rd largest television market in the country and Baltimore is the 26th largest, which played a huge role in the ultimate decision. Since both these cities would have to air new episodes on a delayed schedule, it would negatively affect other shows' time-slots and throw a wrench in plans nationwide. Competition Against American Idol: Vampire Diaries returned with an all-new episode, but its competition was the ratings giant American Idol. That's not good news for the vampire-centric show. In order to get a true feeling of viewership in a non-competing market, the CW decided to repeat the shows a day after in order to boost ratings. The hope is that viewers who would not normally catch the two shows will gain interest and tune in again, as well as helping out fans who may have missed the episodes that aired on Thursday. However, this seems to be extremely poor decision-making on CW's part. If a change such as this were to be made, it should have been done much earlier in the month and not in a rush a day before. 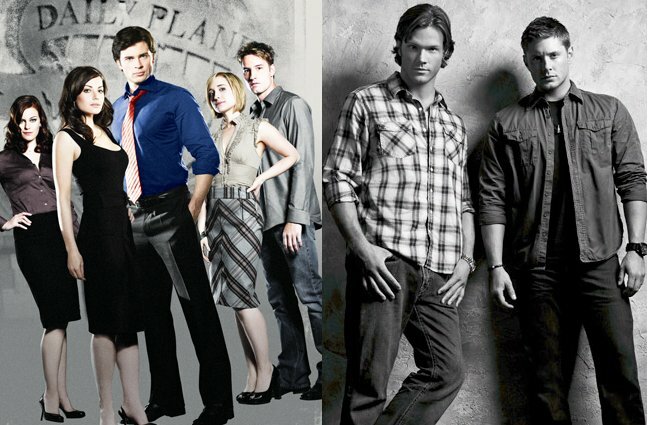 Not only has the move angered fans, but it also may have done some larger damage to the viewership of Smallville and Supernatural. A change this late in the game is bound to have repercussions and here are just a few. Loss Of Promotional Money And Validity: For over a month, the CW has been airing promos with the January 28th return date of Smallville and Supernatural. It's stuck in the minds of regular viewers and non-viewers alike. Everyone knew the date, it was marked down in calendars, the countdown had begun. Now, the network has flushed that budget down the drain because it was inaccurate. They have lost trust in their promotions since they have proven to be untrue. Viewers will now be left wondering if future promotional dates will be changed at the last minute, too. Loss Of Buzz Lead-Up: The network had sent out screeners of the new episodes earlier this week to reviewers. In doing so, they got early buzz from the industry about how great these episodes would be and how the countdown to return had begun. Additionally, this got fans excited and the new episodes were anxiously awaited. Now, none of that buzz can be maintained. Promotional articles are a week too early, the buzz will die down, and the reminder of a return will be marred by the memory of why fans are getting their new episodes a week later than usual. Loss Of Viewers: While it is true that devoted fans of Smallville and Supernatural, while voicing their extreme displeasure over the delay, will likely tune in next week, that's not going to be necessarily true for everyone. Some viewers may be fed up with the way they have been treated and simply tune out, going to another network to get their entertainment. Additionally, casual viewers who had seen the dated promotional ads and were planning on tuning in are going to be in for a surprise. They will not know of the change, so instead of finding a new show they might have watched, they change the channel and never come back. It's poor planning on the part of the CW and a very bad situation for fans of all four shows. Vampire Diaries and Nikita may suffer some backlash because of the change, while Smallville and Supernatural fans are being given the short end of the stick. Hey, CW, remember when Supernatural fans won the cover of TV Guide? Yeah, you're welcome.